Who Is Considered a “Spouse” Under Florida Inheritance Laws? Dying without a will is never a good idea, as Florida law will dictate the disposition of your probate estate. While this may initially sound like an easier way of settling your affairs, there are many potential legal disputes that may arise in an intestate estate. Having a will allows you to state definitively who you want to get your property and serve as executor of your estate, eliminating any potential ambiguities when dealing with Florida intestacy law. For example, earlier this year a Florida appeals court had to address who whether a woman qualified as the “spouse” of a man who died without a will. The decedent was actually an Israeli citizen, but he owned significant assets in Florida. The decedent had six children, including two from a prior marriage. Under Florida intestacy law, the surviving spouse in this scenario would normally be entitled to one-half of his estate. But one of the children–a daughter of the prior marriage–alleged the spouse in this case was never legally married to her father under Israeli law. As a result, she said her father’s entire Florida estate should be equally divided among his six children, as he had no surviving spouse. In response, the purported spouse said she was the decedent’s “common law” wife and should enjoy the same inheritance rights under Florida law as any other spouse. This was, she alleged, consistent with Israeli law. On this point, she presented evidence that she and the decedent “held themselves out as husband and wife to their friends and family” and acted as spouses for the duration of their 23-year relationship. But ultimately, the Florida Second District Court of Appeal said the couple never legally married in Israel. Unlike Florida, Israel does not recognize any form of civil marriage. Only marriages “performed under the auspices of the religious community” have any legal status in Israel. Although Israel does recognize “reputed spouses,” a relationship similar to that of common law marriages in the United States, the Second District observed that reputed spouses “are not married spouses under Israeli law.” And since U.S. courts are required to respect “a sovereign nation’s authority to define, for its own people, the unique status of marriage,” the reputed spouse here could not claim status as the decedent’s “surviving spouse” under Florida law. Do You Need Help Making a Florida Will or Trust? It is important to understand that had the decedent made a valid will in Florida–or even placed his U.S.-based assets into a revocable living trust–the issue of his reputed wife’s legal standing would never have been an issue. You are free to leave your property to whomever you wish regardless of your legal relationship. Intestacy law only applies when you fail to make your intentions known through proper estate planning. 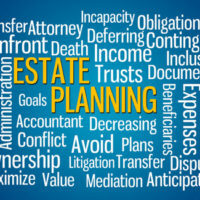 The moral of the story is that everyone should take the time to prepare a proper estate plan. This is especially critical when you are in a non-traditional relationship with someone who may lack inheritance rights. If you need help from an experienced Fort Myers estate planning lawyer on how to proceed with making a will or trust, contact the Kuhn Law Firm, P.A., today at 239-333-4329. Cohen v. Shushan, Florida Second District Court of Appeal, March 15, 2017.